The most popular vanity URL extension for Joomla! social websites has added an important integration. 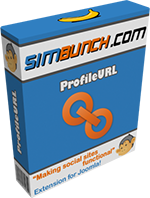 ProfileURL now works with EasySocial profiles. This integration is 2-way: if you have the "permalink" field enabled for EasySocial, changes made to that field will be managed by and reflected in ProfileURL. Take a quick look at the product description, or dive straight to the demo! Support and integration for EasySocial (optional). EasySocial is a new and upcoming community extension. All the same integration for JomSocial, Community Builder and JomWall is now available for EasySocial. Check them out! Send emails using cron job (optional). We received the most requests for this feature. Users with limited hosting can now send our email invites in batches using a cron job, in order not to exceed their host's email limits. Display JomSocial toolbar (optional). 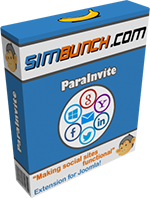 You can now display JomSocial's toolbar on top of every ParaInvite page to make the user experience seamless. For EasySocial users, there is an EasySocial module that displays the toolbar. Windows Live Mail updated. The contacts import and invites sending for Windows Live Mail is now the same as other email-type invites. Check out the full documentation here, or dive straight to the demo! SIMGallery 4.1 is a major update with several key additions and improvements. Below is a list and a short description of each change. Videos Upload and Linking. Users can now post videos to their galleries. There are 2 types of videos: uploads and linking. Video Uploads - Users select video file (can be any video file format) to upload. SIMGallery will use FFMPEG to convert uploaded file to MP4 and WEBM and display them as HTML5 videos. This will ensure your videos can be viewed across all devices, including iOS. As SIMGallery uses HTML5 chunk uploading, the file size is not limited by your PHP's upload_max_filesize setting. Once upload completes, users can choose to receive an email notification once the conversion is complete. Video Linking - Enter the URL of videos from any of the following video services. SIMGallery will automatically retrieve the video's title, description and thumbnail before posting: Blip.tv, Break.com, DailyMotion, Flickr, Google videos, LiveLeak, MetaCafe, MTV, MySpace, Revver, Truveo, Viddler, Vimeo, Yahoo videos, Youku, and Youtube. All videos will appear in a separate album on the user's dashboard. Remote Storage. Many users have been requesting this, and it's finally here. SIMGallery 4.1 includes support for Amazon S3. Admins can now decide if they wish to store photos and/or videos using Amazon's S3 service. This will save a ton of storage space on your server! Email Notifications. Relevant users will receive an email to notify them of certain actions, including likes, comments, tags and comment likes. Limit the available access levels to users: Public, Site Members, Friends, Only Me. For example, you can remove the "Only Me" level so that users cannot "hide" their media, or force all media to be "Public". Admins can convert existing media from one access level to another, eg. Convert Videos from Public to Site Members. Combined, these 2 sections can be useful for other things, like holding contests. For example, you can set the available access level to just "Only Me" for 2 weeks, when users can upload their photos but they can't be seen by anyone else. After 2 weeks, you can convert all the photos to "Site Members", so they're available for likes and comments etc to registered users. Meaningful Page Titles. Every SIMGallery page has a meaningful page title. Latest Photos and Latest Videos browsing makes sense. This was sorely missing in the previous version. In ver. 4.0, when a user clicks on a Latest Photo, he will start browsing the photo as part of inside the photo's album. Thus, when he reaches the end of the album, the browsing will not continue to the next album as part of the Latest Photo. This is highly confusing. In SIMGallery 4.1, a separate browsing for Latest Photos/Videos have been added, with the appropriate heading and the same search fields (categories and keyword tags). Users will not lose their way when browsing Latest Photos/Videos anymore. Display JomSocial Toolbar. Another frequently requested feature. 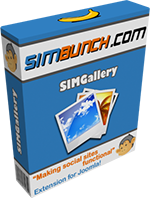 Some users wish to make SIMGallerys user interface seem as part of JomSocial itself, by displaying JomSocial's toolbar on SIMGallery pages. Replace JomSocial's Videos Feature. Admins can choose to replace JomSocial's videos feature altogether. This means that any link that point to JomSocial's videos will point to its relevant SIMGallery page. 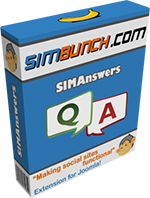 Don't worry, videos posted on JomSocial's activity wall will still appear on the user's SIMGallery videos album. Disable Photos Download. You can now choose to remove all "Download Photo" links. Lightbox Galleries for Modules' Thumbs. Previously, clicking on a thumbnail of a module will link the user directly to the photo itself. The new modules will open up a lightbox, with next/previous navigation that cycles through the other thumbs. This greatly improves user-friendliness. A direct link will still be available on each thumb's mouseover tooltip, and on the lightbox itself. SIMGallery 4.1 is another extensive update from 4.0, which itself was a major update. Full documentation is available here, or just dive straight into the demo to check out all of its goodness! 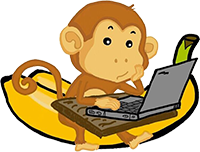 If you have any suggestions, please feel free to post them on our forum. After much anticipation, we are excited to announce that SIMAnswers is finally available for Joomla 3+! Without boring you with all the details, we're just going to list the major changes in SIMAnswers 3.0. Please please check out the details documentation, or just dive straight into our demo. Written with Joomla MVC architecture. Notifications feature that notifies users when a variety of actions are taken on their questions (the bell button on the Headboard module). This is also integrated with JomSocial's notifications feature if applicable. Top ranking page lists users based on their points for different time periods (all time, last 24 hours, last 7 days, past month, and past year). Good for holding contests! Notify admins when new questions are posted. Support for Community Builder's activity stream added. If you are upgrading from SIMAnswers 2+, make sure you uninstall everthing from the previous installation first! Sometimes you may wish to reuse a certain function that resides in a model outside of your current scope. This helps you save time and reduce duplication. This can be achieved easily by adding the following codes.